Karla Richter, 24, a loving and trusting young woman goes missing. The police and papers ignore the disappearance, leaving her three friends – whose roots lie in Serbia and Croatia – to discover the truth. A search for Karla becomes a search for the self in this lyrical thriller and modern day epic cloaked in the mystery of Europe’s underworld. Maria Milisavljevic, born in Arnsberg, Germany, is an award-winning playwright, theatre creator and director and is Tarragon’s International Playwright-in-Residence. Her latest play Brandung (Abyss) received the 2013 Kleist Promotional Award for Young Dramatists and opened at Deutsches Theater Berlin and continues to run in rep there. Brandung was further named one of the five best new plays of 2013 by Spiegel Magazine. 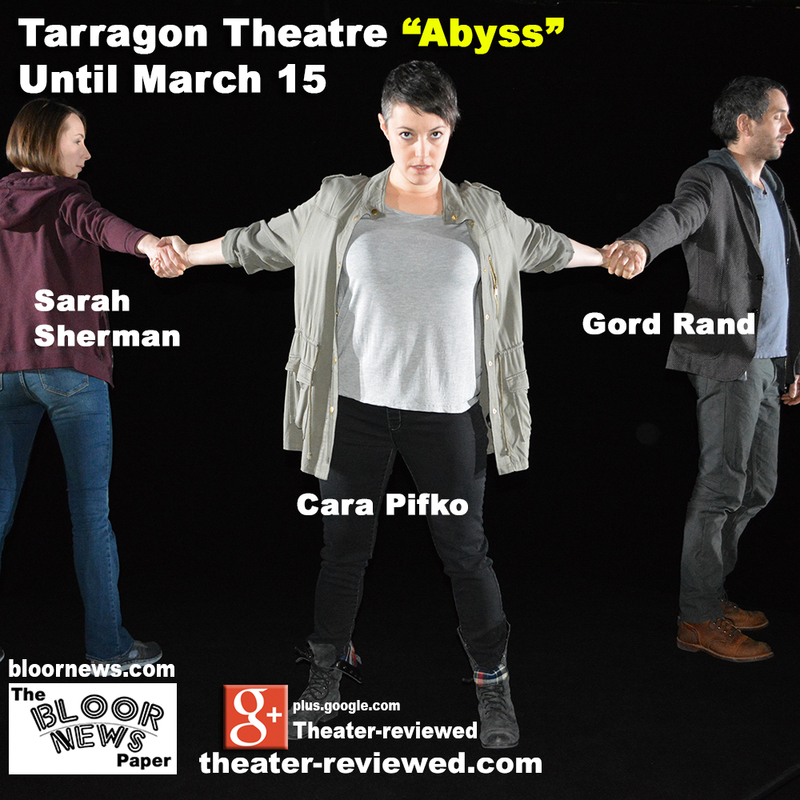 Richard Rose is the Artistic Director of Tarragon Theatre. Rose is well known for developing new work, including four plays that won the Governor General’s Award and nine other nominated plays. He is a four-time Dora Award winner for direction and production and has had numerous nominations. He has also been honoured with the Canada Council Walter Carsen Award for Excellence in the Arts and the City of Toronto’s Barbara Hamilton Award for the same. Gord Rand – Shaw Festival’s The Philanderer, The Cherry Orchard and more; Necessary Angel’s Hamlet; Mirvish’s The Innocent Eye Test (Dora Award), Volcano’s Goodness, which he made into the feature documentary Goodness in Rwanda which won the Audience Choice Award at the 2013 ReelWorld Film Festival and Best Feature Documentary at the Thin Line Film Festival in Denton, Texas. 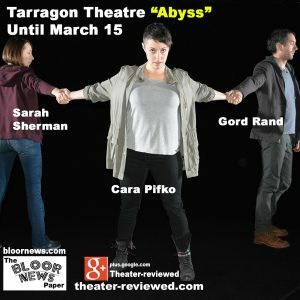 Sarah Sherman – Canadian Stage’s A Midsummer Night’s Dream; Theatre By The Bay’s Twelfth Night; That Choir Unplugged member. Cara Pifko – Tarragon’s Léo; O Rejane for Bootleg Theater in Los Angeles; Soulpepper’s Top Girls; CBC TV drama This is Wonderland, which garnered her a Gemini Award for best actress; Stratford Festival – Coriolanus, Much Ado About Nothing; Canadian Stage – The Clean House; 2013 Best Actress in a Feature Film award from the FilmOut San Diego for her performance in Margarita. Tuesday-Saturday at 8pm; Sunday at 2:30pm and select Saturdays at 2:30pm: Feb.14, Feb. 21, Feb. 28. Rush Tickets: For every performance excluding opening night, specially priced $15 Rush Tickets will be sold (subject to availability) in person at the Box Office two hours before show time.